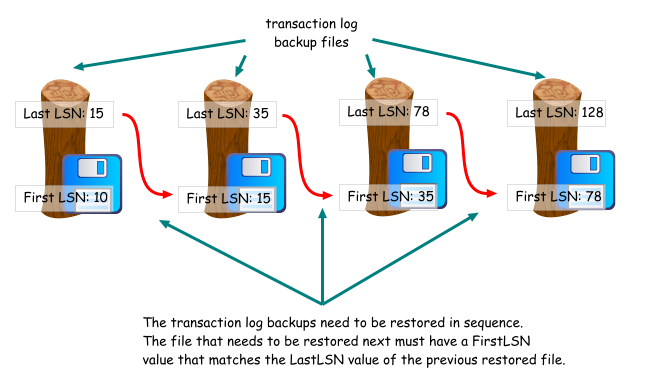 If you run a database in the full or bulk-logged recovery models, you know that you need to periodically perform transaction log backups in order to back up your transactions, keep the transaction log file(s) to a manageable size, and basically keep your job. When the time comes to restore the transaction logs, you will need to restore them in sequence, in the order they were created. You can use the information stored in the msdb..backupset table, on the instance where the backups were created, to determine the order in which to restore the files, using the FirstLSN and LastLSN values as guides. When this happens, you need to immediately take a full database backup as a new starting point for new transaction log restores. How would you know when the sequence is broken? There is no current database backup. This log backup cannot be used to roll forward a preceding database backup. Processed 1 pages for database 'logtest', file 'logtest_log' on file 1. BACKUP LOG successfully processed 1 pages in 0.078 seconds (0.019 MB/sec). Note that it's only a message. The backup will still complete successfully, though it's unusable. Well, what if you don't see the message because it's a scheduled job? Well, there's always the Windows Event log, which warns you when the transaction log has been truncated. 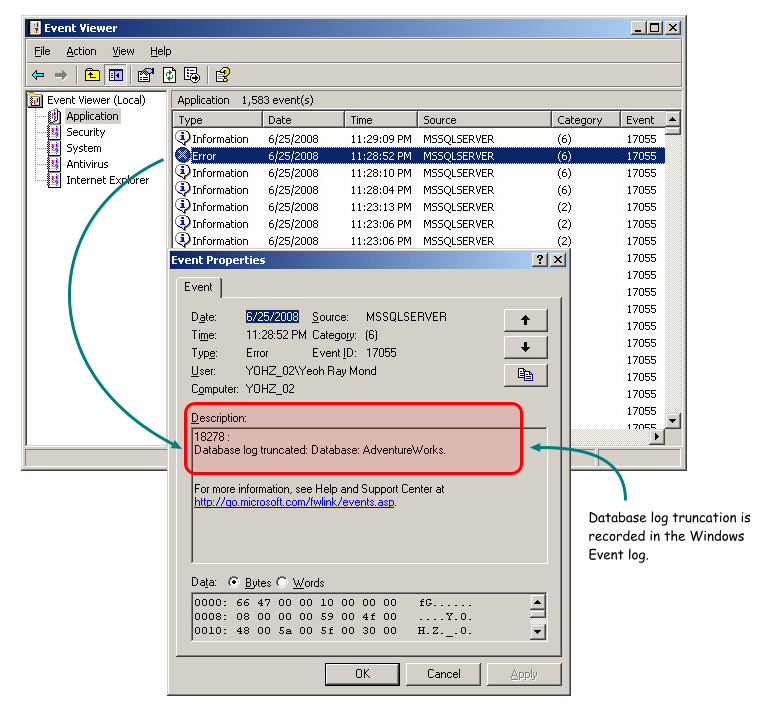 If you are using SQL Server 2000 and log truncation is fatal to your database, monitor the Windows Event log consistently for log truncation events. What if the recovey model was changed? Unfortunately, that isn't recorded anywhere. Simply make it a practice to take a full database backup after every change to the database recovery model. If you don't notice the messages, nor monitor the Windows Event log, you're basically stuck with a bunch of unrecoverable transaction log backups. Shouldn't SQL Server warn us? And stop making useless backups? Yes, it should, and it does, if you are using SQL Server 2005. This is the message that's displayed when the log backup sequence has been broken. That's much better. So in summary, if you are using SQL Server 2000, you need to be on the alert for the above 2 mentioned events, which can break your log backup sequence and leave you with useless backups.